In the mid 1980s new wave era, with feel good singles, such as “Love Shack” and “Footloose,” at the top of the charts, confessional songs of disheartening childhood experiences was the last thing one might expect from an aspiring young band. Yet it was the then newcomers Tears For Fears’ dark remembrances, supported by infectious melodies, that many rock critics now cite as having struck a chord with the young recession era generation causing their debut The Hurting to go to number one in the UK and the top ten in the U.S.
With all the pressure a success of this kind can bring, including a mass of fans anxiously awaiting new material, their next recording sessions could have easily been a play it safe affair. Instead the band pushed themselves ever further artistically, with arrangements of a much greater level of complexity and musicianship. While the lyrics of much of what would become their second album, Songs From The Big Chair, would remain introspective, it may have been the more mature, and universal, coming of age themes that contributed to the album having an even wider appeal than The Hurting. In any case, with yet another string of hits from Big Chair — including “Everybody Wants to Rule the World,” “Shout,” “Head over Heels,” and “I Believe” — Tears For Fears would find themselves not only standing head to head with the best acts of the day, it has since earned them the status of having one of highest grossing albums of the Eighties. Still today these songs remain permanent fixtures on classic radio, and Big Chair is now pantheon of seminal albums of the decade. Brothertiger Plays Songs From The Big Chair pays tribute Tears For Fears’ influential gem by giving it a modern take. 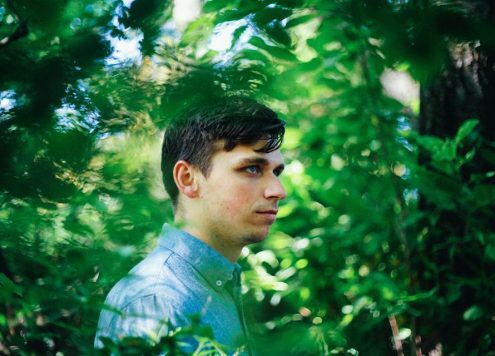 Brothertiger is the alias of electronically-fueled John Jagos, a musician and producer based in Brooklyn, New York. Jagos’ passion for making music started out of his college dorm room at Ohio University in 2010. The Vision Tunnels EP was his first proper release, and soon after, he signed with Mush Records to release three subsequent albums. Brothertiger’s style complies with the vision Tears For Fears had 32 years ago, and by working with Reimagine, Brothertiger Plays Songs From The Big Chair helps to shed new life and give new meaning to an iconic piece of music that should never be forgotten.